UPDATE: Thank you to all who came out and supported OTO! It was the party of the year! 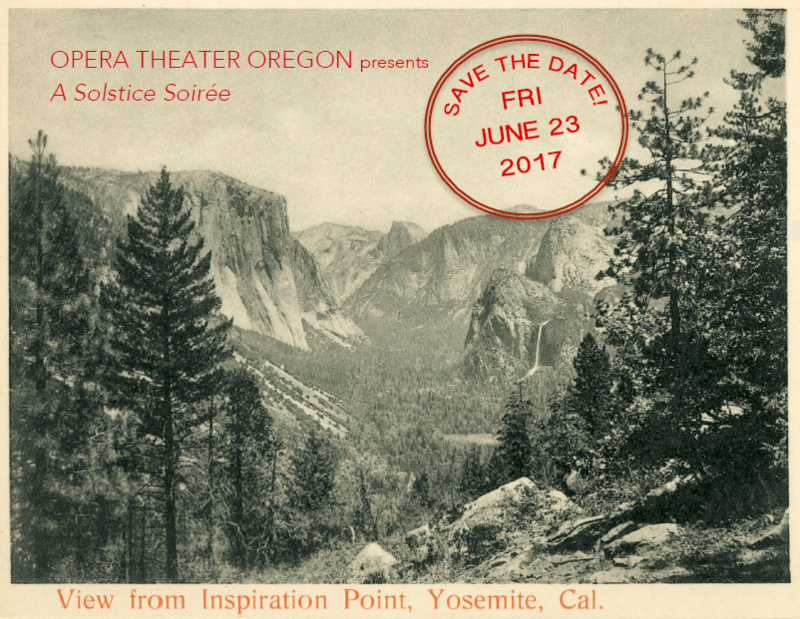 Meet the new leaders of OTO with a celebration of music, nature, local food and libation s.
Musical excerpts from our upcoming production Two Yosemites: An Environmental Opera by Justin Ralls, a musical setting of the 1903 meeting of President Theodore Roosevelt and conservationist John Muir.